I believe that Christmas is the most gorgeous time in the year. 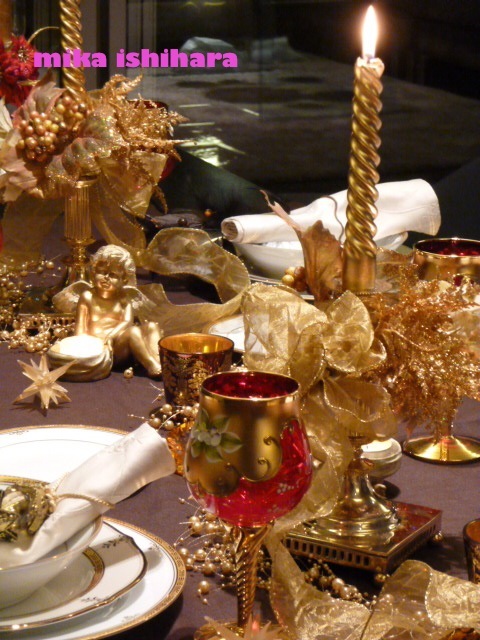 The main color of this decoration is gold, and it gives the table a flourish glow. Although gold is the main color concept of this deco, red is used for a hint of classical Christmas feeling.